The Fruit & Seed Granola is also grain free (oat free), organic and vegan and is made with sunflower seeds, coconut, sesame seeds, dried cranberries, raisins, flax seeds, chia seeds and hemp seeds. Each 10-oz. bag is $3.69. 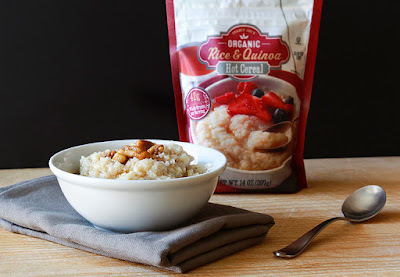 The Rice & Quinoa Hot Cereal is a blend of organic whole-grain brown rice grits and organic quinoa flakes, with each serving containing 42 grams of whole grains, 4 grams of protein and 2 grams of fiber per serving. Each 14-oz. resealable pouch sells for $3.69. 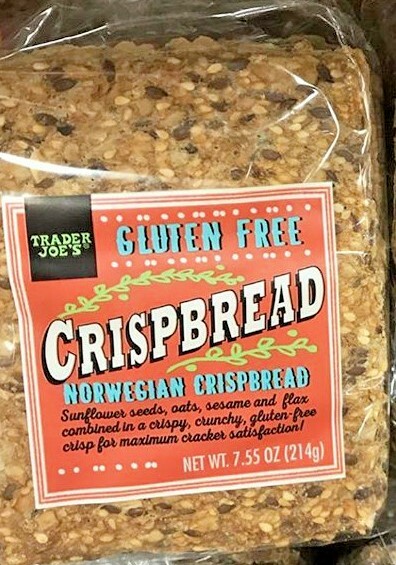 Trader Joe's also has a new gluten-free snack, Norwegian Crispbread, that's made with sunflower seeds, oats, sesame and flax and combined in a cracker-like crisp. The My/Mo line of ice cream is adding a pint-size version with gluten-free sweet mochi rice dough bits, available in Strawberry, Mango, Green Tea, Chocolate and Salted Caramel flavors. The line is available in the frozen vegetable aisle at retailers nationwide. Girl Scout Cookie fans can enjoy Yoplait yogurt with new flavors inspired by their favorite cookies. Flavors include Yoplait Whips! Girl Scouts Thin Mints, Yoplait Whips! Girl Scouts Peanut Butter Chocolate, and Yoplait Original Girl Scouts Caramel Coconut. 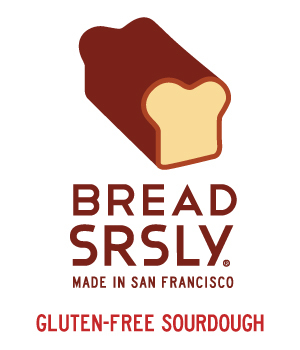 The new flavors do not contain high fructose corn syrup and are gluten free. 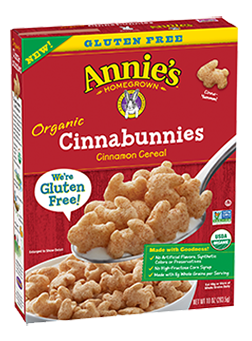 Annie's new gluten-free and organic Cinnabunnies cereal is made with whole-grain sorghum, white rice and chickpea flours. 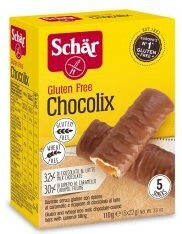 Schar is bringing its one of its popular European gluten-free products, the Twx-like Chocolix, to the States later this year, and is introducing a chocolate version of its Honeygrams graham crackers. Local pasta purveyor Talluto's now offers a fresh, certified-gluten-free version of its rigatoni. 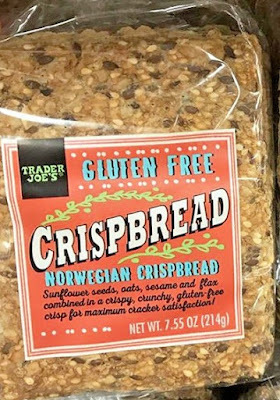 It's sold at its company-owned stores in Norristown, Ridley Park and at South Philly's Italian Market. It can also be ordered online. 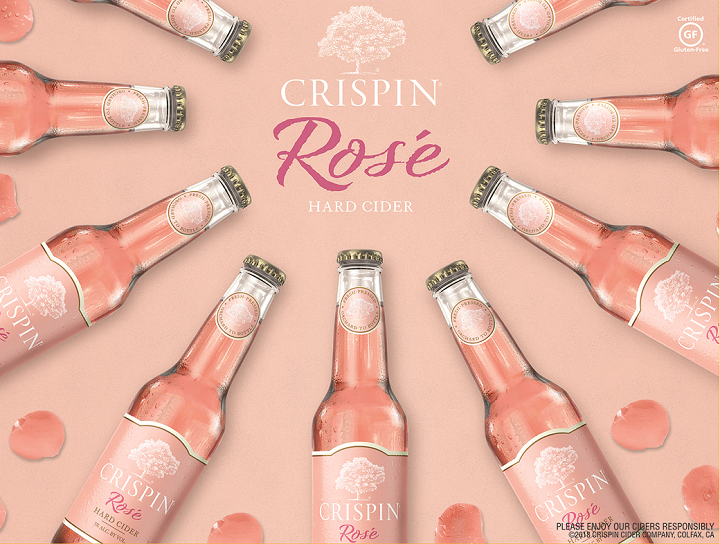 Crispin Cider Co. is rolling out a rosé version of its gluten-free hard cider. Crispin Rosé is made with rose petals, hibiscus and a blend of fresh-pressed apples and pears. The cider has light cherry and strawberry notes on the nose, along with a hint of vanilla and stone fruit. On the local restaurant front, Indian Cafe & Grille, new to Northern Liberties (501 Fairmount Ave., 215-982-2163), prepares a number of its menu options gluten free. The new Marino's Kitchen in Marlton (1041 Rt. 73 S., 856-596-4829) has gluten-free penne as part of its build-your-own pasta bowl. The penne is prepared separately from the traditional versions. If you read Tuesday's recap of our recent gluten-free dining in Aruba, you know that a beachfront açaí and pitaya bowl stand was one of our son's favorites. The "superfruit" bowl trend is also stateside. Playa Bowls, which began in 2014 at the Jersey Shore, has regional locations in Easton (16 N. 3rd St., 610-417-3693) and Bethlehem (310 E. 3rd St., 610-419-4294) and is opening a spot on the University of Delaware campus in Newark (134 E. Main St.) on Jan. 20. Future area outposts will be located in Center City Philadelphia, Cherry Hill and Glassboro. 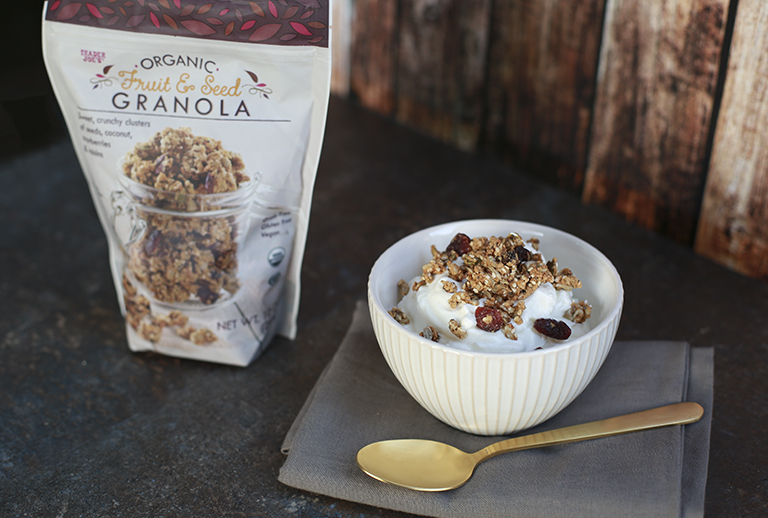 Gluten-free granola can be substituted for the traditional version in the bowls, and most of the menu is gluten free. The recently opened Leaf in Haddonfield (6 Kings Ct., 856-528-5715) notes gluten-free options on its all-vegan menu. 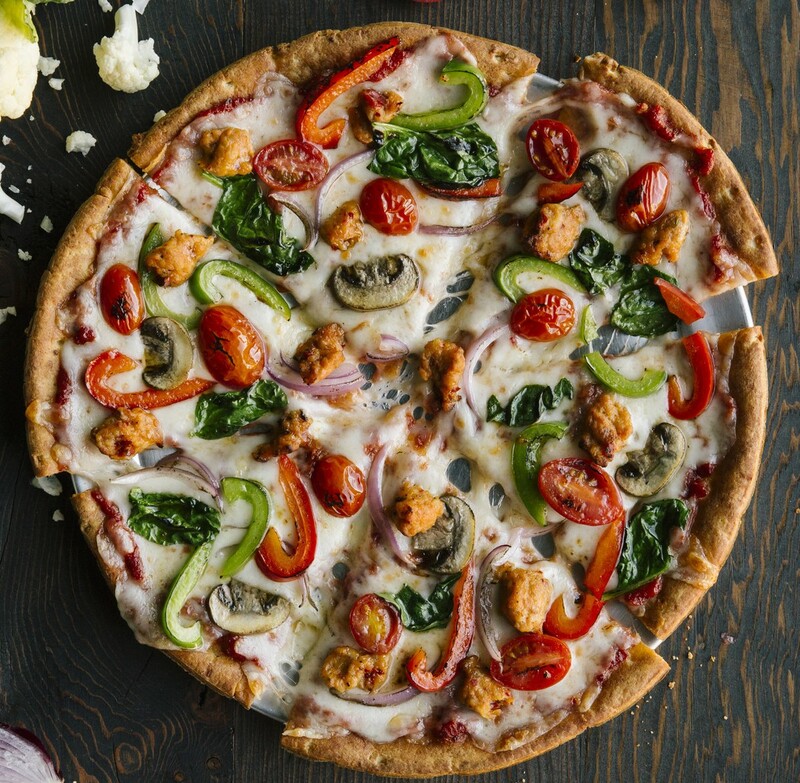 The fast-casual PieFive Pizza, which serves a gluten-free ancient-grains crust made by Smart Flour Foods in addition to its traditional options, is also offering a gluten-free cauliflower crust through Feb. 11. There's an area location in Dover, Delaware (1211 N. DuPont Hwy., 302-734-7435). Staff are instructed to change gloves and use separate utensils, paddle and screen in preparing gluten-free pizzas. 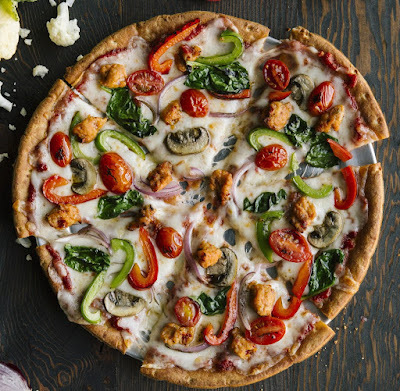 The only toppings that contain gluten are the meatballs. Recent gluten-free-friendly restaurant closures in the region include Philly's South Street outpost of Johnny Rockets (locations in Atlantic City and Lawrenceville remain open) and the Rittenhouse Square location of grilled-cheese specialist Meltkraft (the Reading Terminal locale is still in operation). Children's Hospital of Philadelphia's Celiac Center is hosting a kids' support group meeting at the CHOP Specialty Care Center in Chalfont (500 W. Butler Ave.) on Sunday, Jan. 28 from noon to 2 p.m. To register, send an email with the following information: Number of adults, number of children and ages of children.